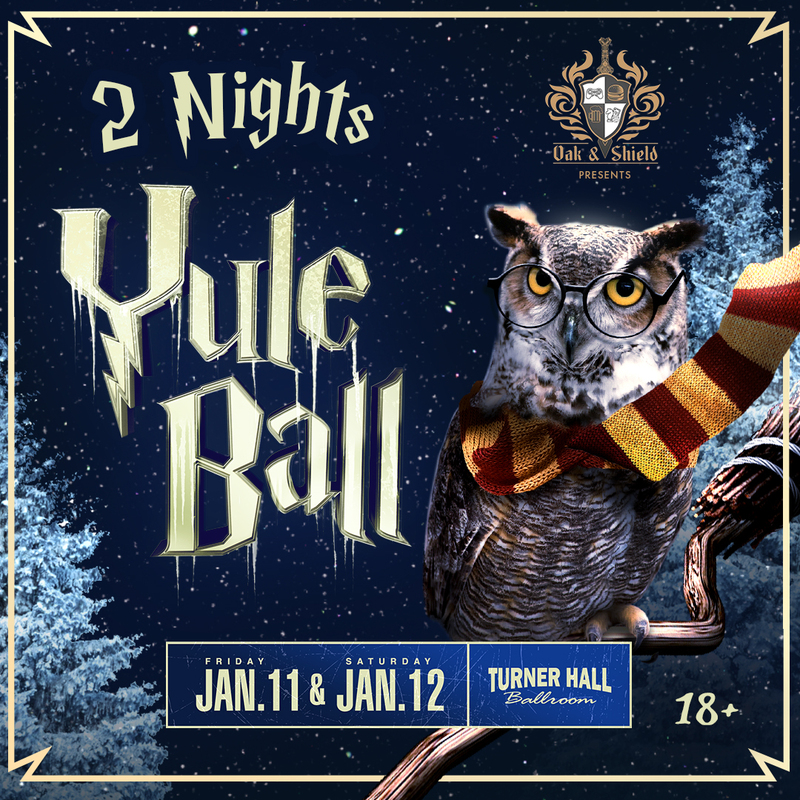 On behalf of the Office of the Headmaster, we would like to welcome students, alumni and faculty to attend this year’s bewitching celebration of the Triwizard Tournament at our annual Yule Ball, hosted at Turner Hall Ballroom, on January 11th and 12th. Wizards, witches, alumni and magic students are all invited. Our beloved Headmaster has put the finishing charms on this year’s festivities and encourages all who attend to wear their very best dress robes, fancy dresses, cosplay or other festive apparel. Please take caution when traveling via floo–some dark wizards have tampered with the chimneys. Best use caution and ride your broom or apparate instead. Doors open at 7pm. Purchase a Waltz Package ($10) to join us an hour earlier (6pm) and learn the waltz with our professional dancers so you’re prepared for the Champion’s Waltz at 8:15pm. We will then turn things over to the enchanting sounds of the wizarding world’s most esteemed DJs. Our potions master is proud to share with you her newest spellbindingly delicious elixirs. 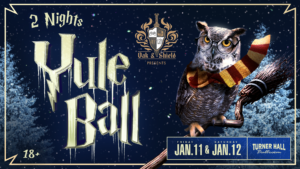 This party is for adults (18+), so leave little wizards under the care of your (free and fairly compensated) house elf and join us for what’s become known as ‘adult prom’! 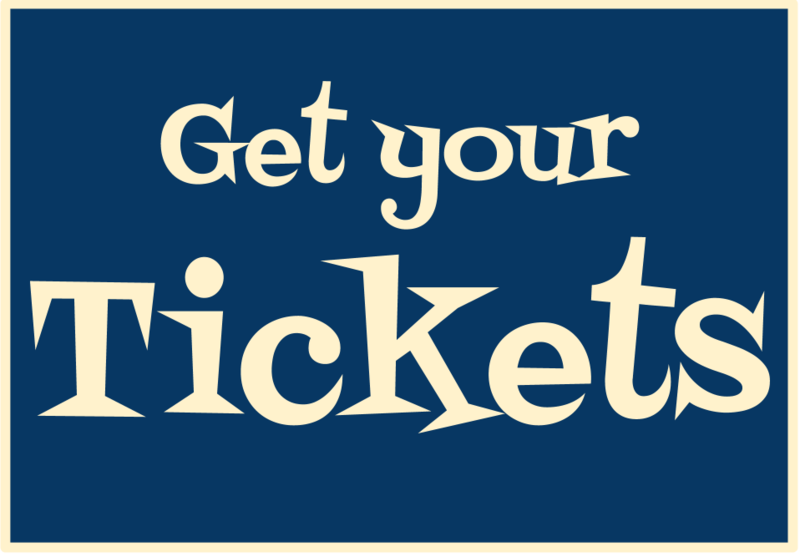 – Allows ticket holder into event at 7pm.